IS ROBERT PATTINSON GOING TO BE THE NEW [DAREDEVIL]? 20th Century Fox finally found a director for its Daredevil "reboot" this week and now it seems developments are surfacing over casting. Moviehole report that David Slade's Daredevil will be similar in tone to Batman Begins which makes a lot of sense considering that Batman Begins is heavily inspired by author Frank Miller's work and the news that the new Daredevil movie will be based on Miller's Born Again series. Hit the jump to check out the details. "Slade’s pitch, I’m told, is said to be a "close cousin" of some of the other superhero movies out there in the market place (I believe he’s referring to films like "Thor" and "Captain America" which are bright, boisterous blockbuster types that skip on the gloom and go straight to the boom!) – which shouldn’t surprise anyone. "It’s a bit Batman Begins. The bad guy will learn who Daredevil really is and tries to destroy him – but not via the usual methods." And with choices for casting. "And yes, with David Slade given the job, there’s "some kind of talk" about Robert Pattinson – who, with the "Twilight" series winding up, is going to be looking for a new well-paying gig – playing the part of Matt Murdock – - -which, I have to say, I don’t dislike the idea of." 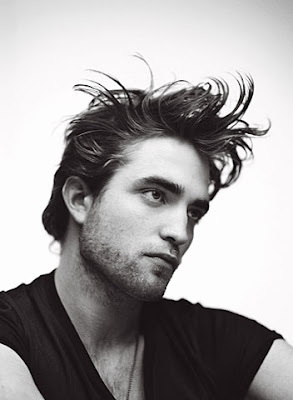 I'm reading: IS ROBERT PATTINSON GOING TO BE THE NEW [DAREDEVIL]?Tweet this!